Our experienced dietetic team is committed to helping clients manage their conditions and meet their dietary requirements through a flexible and personalized approach. Food intolerances involve a person experiencing hypersensitivity to a particular component of foods, resulting in unpleasant symptoms such as headaches, skin irritation, gastrointestinal distress, fatigue and mouth ulcers more. Reactions are not mediated by the immune system and can be time-delayed or variable in their presentation. Food allergies, however, involve the body’s immune system reacting to certain foods or substances. The immune response is more immediate and although some of the symptoms are similar to those of food intolerances, allergies can cause far more serious consequences including hives, swelling, difficulty breathing, vomiting, fainting and even fatality. Coeliac Disease is an autoimmune-driven hypersensitivity to gluten, resulting in inflammation and damage to the small intestine. Associated symptoms include anaemia, headaches, fatigue, unexplained weight loss, gastrointestinal distress and skin rash. 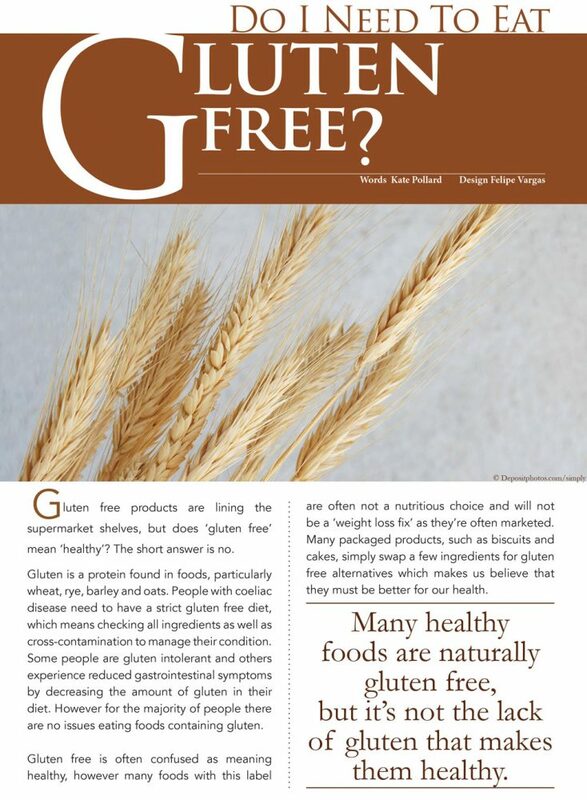 Left untreated, Coeliac Disease can lead to malabsorption of essential nutrients increasing the risk of deficiencies and associated health complications. Food elimination and gastrointestinal damage can lead to malabsorption or inadequate intake of essential nutrients. Unecessarily restrictive diets and associated nutrient deficiencies increase the likelihood of developing other health issues, such as osteoporosis, anemia, inadequate growth or development, bowel cancer and gastrointestinal issues. Self-diagnosis is common among food intolerance. Unecessarily restrictive diets and associated nutrient deficiencies increase the likelihood of developing other health issues, such as inadequate growth or developmental delays, osteoporosis, anemia, neuropathies, colorectal cancer and other gastrointestinal issues. For this reason, it is important to seek professional advice if you think you may have a food related condition. CFIH provides an evidence-based program to work with clients who have suspected food allergies and intolerances. CFIH Dietitians are able to facilitate both the Royal Prince Alfred Hospital (RPAH) Elimination Diet and Monash University Low FODMAP Diet protocols as necessary to identify and treat food allergy or intolerance. These programs involve intensive one-on-one support over a 3-6 month period to identify food triggers. Our dietitians work closely with the client to make the necessary changes for allergy and intolerance management while maximizing dietary flexibility. If you think you may have a food intolerance or allergy, book in a FREE 15-minute consultation call with our intake team to discuss your options. Diabetes is a serious disease arising from defects in insulin secretion or sensitivity (or both), causing elevated blood sugar levels. There is no single cause of Diabetes, and while genetics play a significant role, there are various other metabolic, environmental, social, psychological and behavioral risk factors involved. Both Type 1 and Type 2 Diabetes are chronic conditions, however they can be well managed to optimize physical, emotional and social wellbeing. Gestational Diabetes occurs in 12-14% of pregnancies and although most women have normal blood sugars post-partum, additional support from a dietitian and exercise physiologist can be helpful to manage blood sugars to benefit both the mother and baby’s health throughout pregnancy. Pre-diabetes is a term often used to describe early signs of impaired blood sugar regulation and can occur more frequently in individuals with Polycystic Ovarian Syndrome, previous Gestational Diabetes, a family history of Diabetes or certain ethnic backgrounds. Early intervention is necessary to delay, or in some cases prevent, progression to Type 2 Diabetes. An individually-tailored management plan and ongoing support can reduce the risk of Diabetes-related complications. The CFIH multidisciplinary team take an evidence-based, weight-neutral approach to Diabetes management, promoting consistent movement and nourishment from a place of self-care to maximize the sustainability of health-promoting behaviors and while reducing the emotional burden of the disease. The Dietitians at CFIH are different; they understand improving your health and Diabetes management is not about restriction, elimination and numbers on the scale. Instead, they are focused on working with your needs, personal barriers and lifestyle to develop an eating pattern that is satisfying, nourishing and enables you to manage your blood sugars with confidence. Our Accredited Exercise Physiologist can assist you to find safe, enjoyable and sustainable ways to move your body, which is proven to assist with natural blood sugar regulation. Furthermore, CFIH has introduced Movement With A Purpose, providing weekly classes for people of all body sizes to engage in regular movement in a fun and accepting environment. For more information on how our clinicians can assist you to improve your diabetes management, health and wellbeing, please call our intake team on 0731610845 for a free 15min consultation today. The gastrointestinal tract (GIT) is a system of organs most commonly recognized as the site of digestion, energy absorption and waste management within the body. The GIT is often called “the second brain” as it has an independently functioning nervous system of its own, though it still maintains a “highway” for rapid communication with the brain. Whats more, it is home to trillions of microbes that the scientific community is beginning to recognize as integral to our immune, metabolic and mental health. Gastrointestinal issues can derive from a number of underlying reasons and can cause uncomfortable symptoms and complications such as bloating, gas, early satiety, indigestion, constipation, diarrhoea and various other structural or functional disorders. People with eating disorders often experience some form of gastrointestinal issue. This could be due to an excess/lack of dietary fiber in the system, compensatory behaviours, gut dysbiosis, and in some cases, weakened stomach musculature, which can have long-term consequences on the functional integrity of the gut. Up to 98% of individuals with eating disorders experience gastrointestinal issues. For this reason, our nutrition team is highly skilled in the assessment and treatment of food allergies and intolerances, irritable bowel syndrome and functional gut disorders. Our Dietitians at CFIH are highly knowledgeable in the assessment and treatment of gastrointestinal issues. We provide specialist evidence-based dietary support to help our patients to effectively manage and improve their symptoms for better quality of life. Gastrointestinal issues are common, preventable and treatable, so don’t suffer in silence. Book your free 15 minute phone consultation with us.